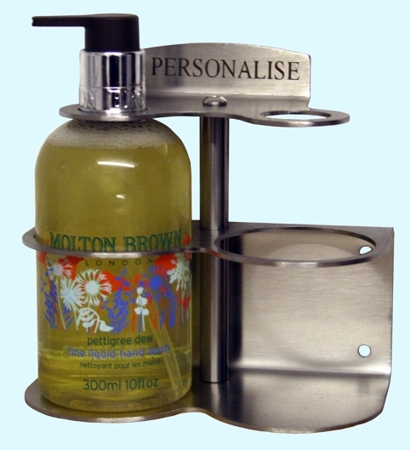 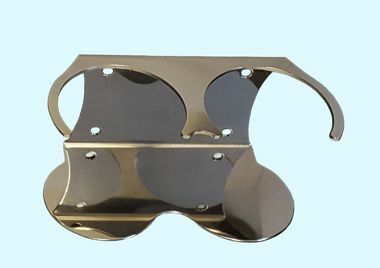 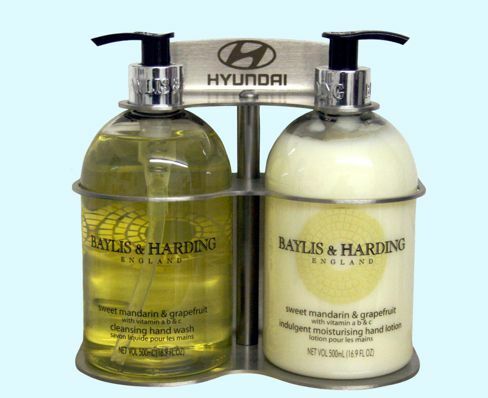 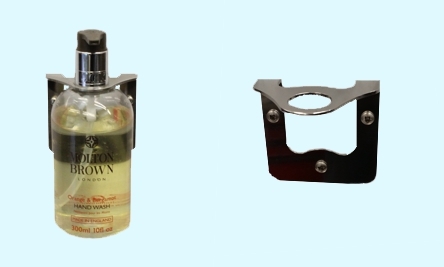 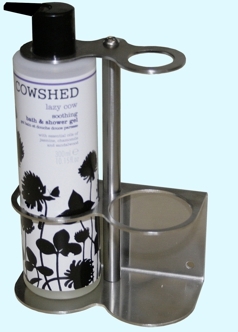 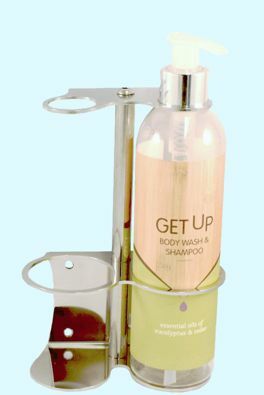 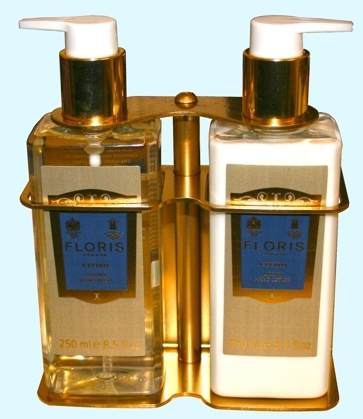 Stainless steel liquid soap and skincare product wall brackets and quality stainless steel products. 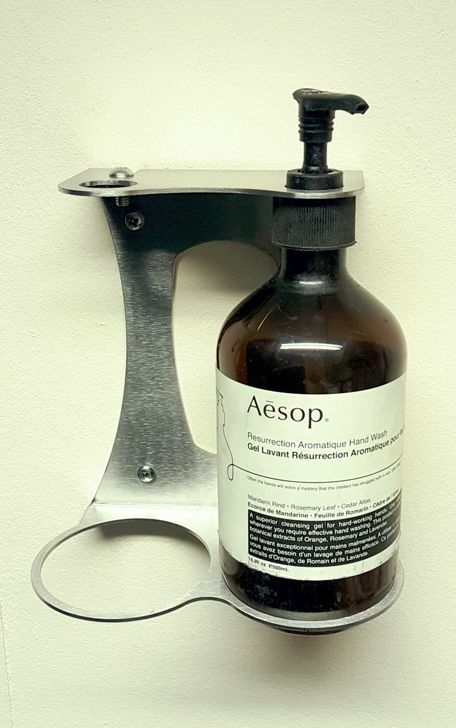 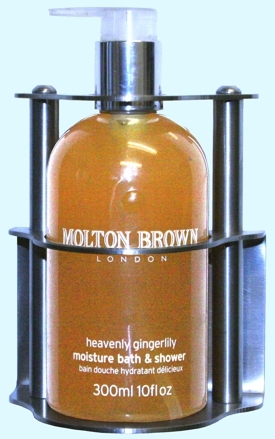 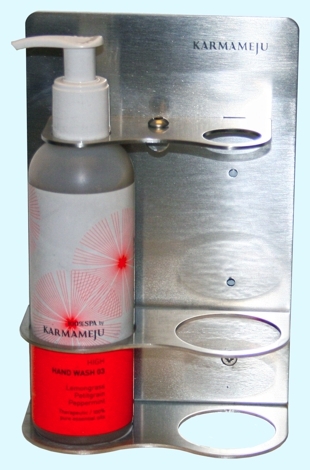 Bespoke bottle holder / soap dispenser, wall mounted with anti-theft screw to deter unauthorised removal of bottles. 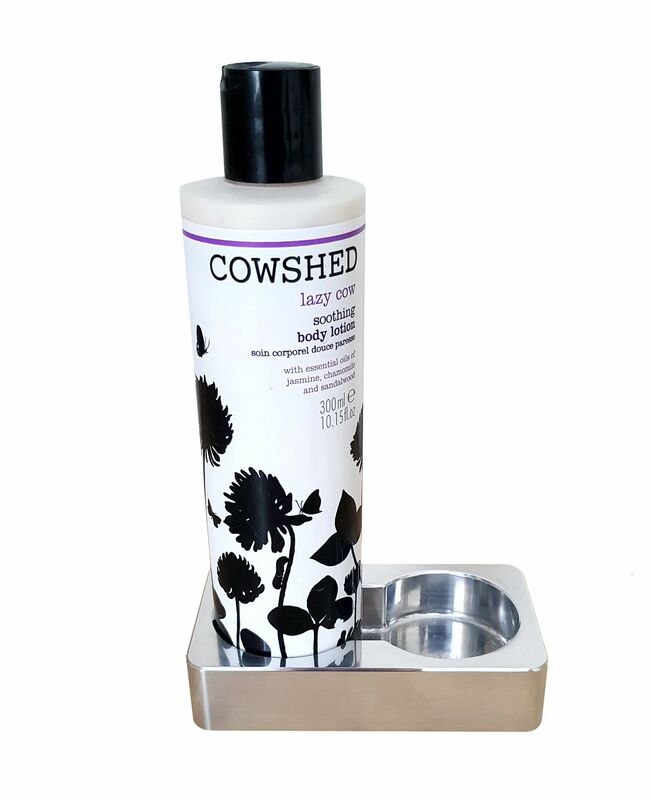 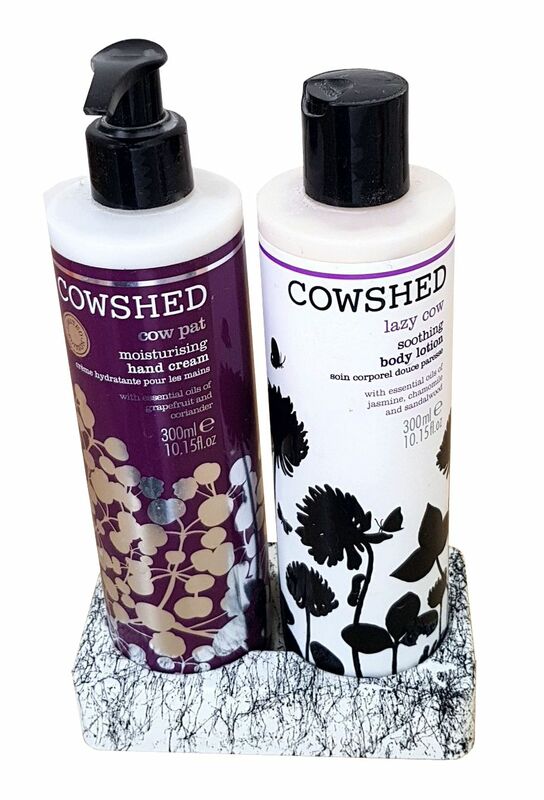 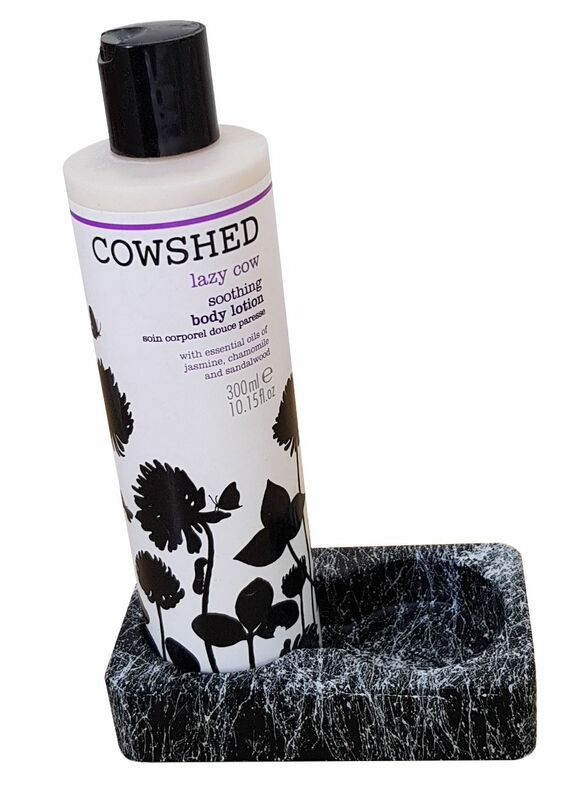 We already supply to fit , Cowshed, Molton Brown, Baylis & Harding, Aesop, Neale's Yard Remedies, Floris ,Jo Malone,Liz Earle, Elemis, Dr Hauschka, The White Company, Green & Spring, Bramley, Bumble & Bumble, Enliven, Method and many others. 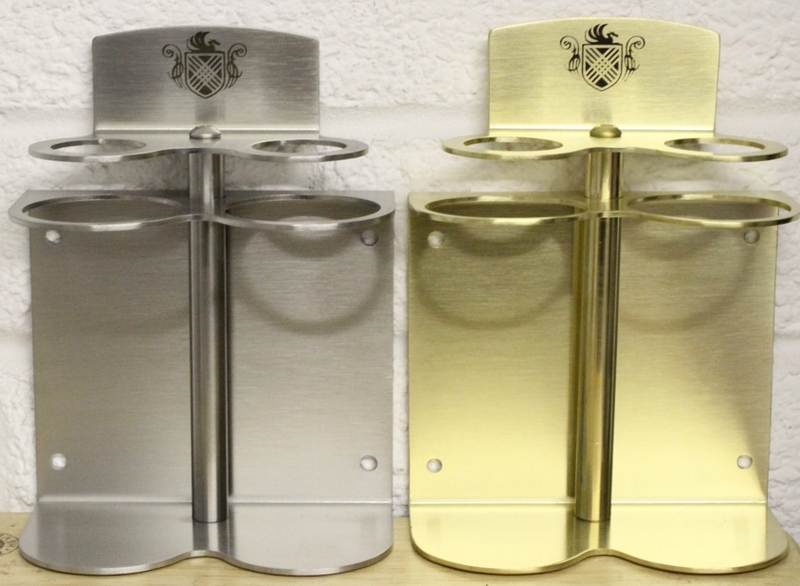 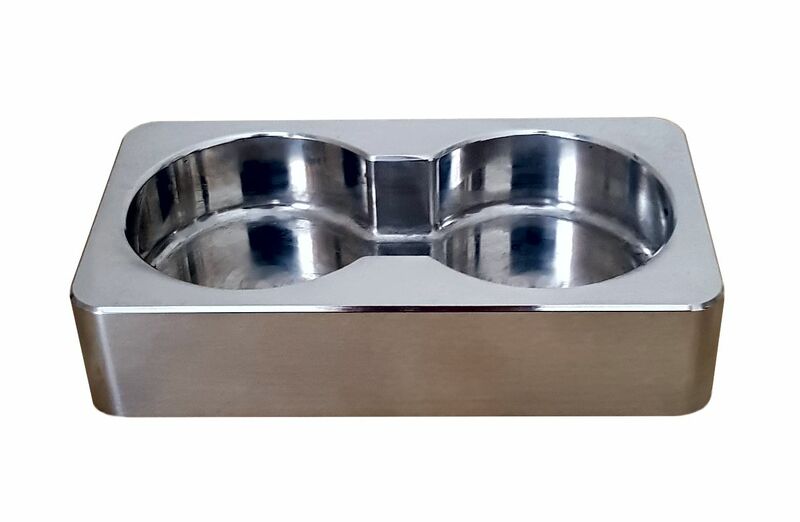 Stylish, easy to clean with no water traps, made to last from top quality stainless steel, WILL NOT RUST,FLAKE OR PIT unlike chrome plated brackets. 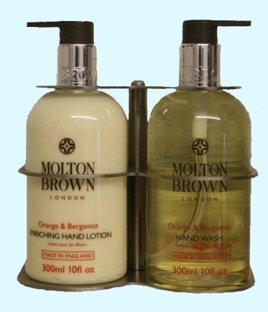 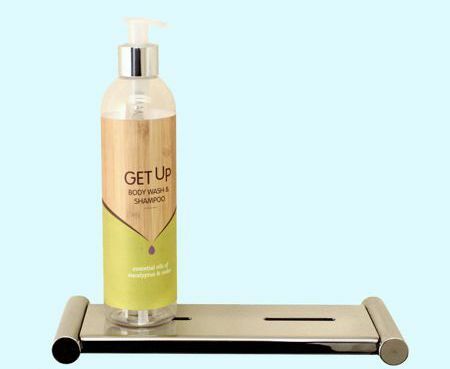 Protect your expensive hand wash - body wash - shampoo - conditioners etc. 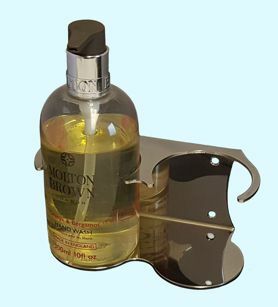 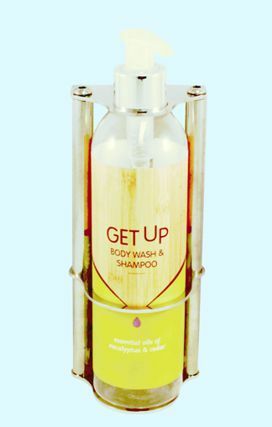 Already fitted in many of the top hotels and spas, around the world Can be supplied to accept almost any bottle size or shape, Custom made to show your product label .